In a few short months, former UFC women’s bantamweight champion Miesha Tate will be a mother. Of course, she’s already a mother in a less traditional sense, as the owner of a dog named Skooter. On Monday, Tate took to Facebook to share a harrowing tale, during which Skooter’s very life was in jeopardy. Apparently, while out for a walk in the neighborhood, Tate’s furry companion was attacked by a Cane Corso – those are big dogs if you’re not familiar. 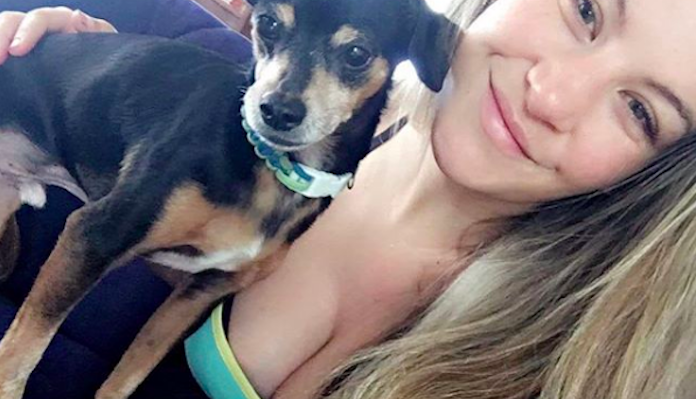 It’s good to hear Miesha Tate and her canine companion escaped this ordeal unscathed!